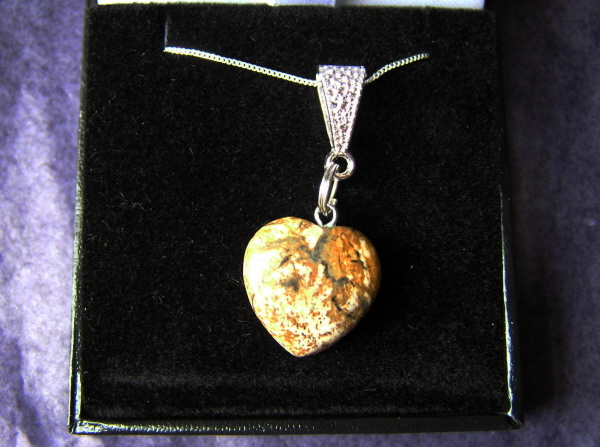 It is crafted from a gorgeous little polished Picture Jasper Heart pendant strung from an 18 inch solid silver curb chain. The heart measures 2cm across. Picture Jasper is an unusual but intriguing crystal with a varied mix of browns, and whites and some gorgeous patternation. I have been selling fossil and meteorite jewellery for years now but have started adding some new types of jewellery. I am sure these will be very popular!